Center dedicated to vocational training and advancing employment in Negev Bedouin communities opens. Six months after a whirlwind of a construction project commenced, the building of the new Triguboff Center in Israel’s Negev is about to complete. The center, dedicated to vocational training and advancing employment in the Negev Bedouin communities, is located at the Idan Hanegev Industrial Park near Rahat, the most populated Bedouin community in Israel. The new center is named after Harry Oscar Triguboff (85), a Jewish-Australian real estate magnate. Triguboff, nicknamed "High-Rise Harry," is one of Australia’s wealthiest individuals, a celebrated philanthropist and owner of Meriton, the largest construction company in Australia. Board members of the Triguboff Institute, which is spearheading the project, visited the site to mark the achievement as well as the beginnings of the last stage of construction. 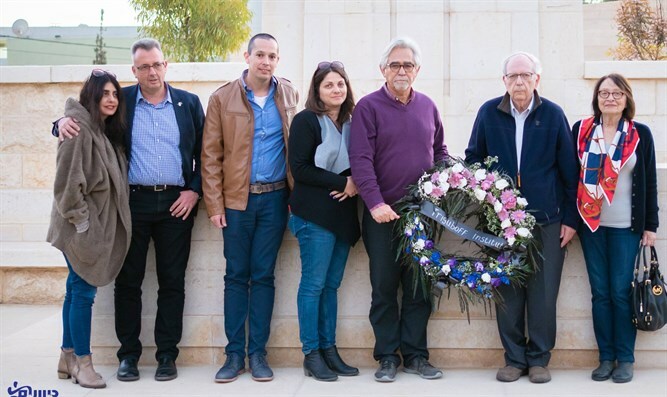 The delegation was led by the institute's Chairman, Efraim Halev and Executive Director, Shalom Norman. Norman explained that “the speed in which we carried out this project draws first and foremost from the paramount necessity and importance that we attribute to this initiative. This project is not only geared towards increasing the quality of life but also life itself. Also, specifically in this era, it is important for us to demonstrate that when there is a task of national impotence to fulfil, Diaspora Jewry can unite and join forces. The Australian community is there to join efforts and ensure full integration of the Bedouin population, which constitutes one-third of the population of the Negev, into Israeli society”. The new vocational training center, which is scheduled to open spring 2019, will promote employment in the Bedouin sector and specifically geared to support the trend of Bedouin women joining the workforce. The center's programs will provide a spectrum of services for employed women such as professional counselling on parenting, family planning, health in the broad sense, household management and children's nutrition. The future Triguboff Center will occupy an area of 500 square meters and feature classrooms, workshop rooms, counselling rooms and an auditorium. 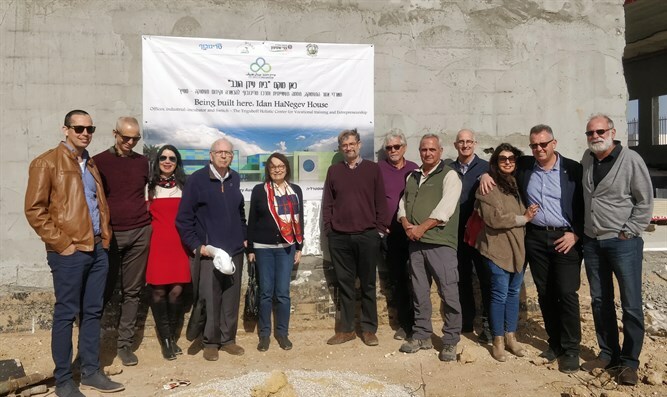 Located in the Idan Hanegev Industrial Park, the Center is being built in cooperation with members of the Idan Hanegev Joint Vocational Park, under the auspices of the Municipality of Rahat and the Regional Council of Bnei Shimon, led by Mr Moshe Paul, former Bnei Shimon Mayor. Ninth Director of the Mossad, founder and current Chairman of the Triguboff Institute, Efraim Halevy concluded the day in the south commenting in his words “One of the fundamental convictions behind this project is that ignoring problem will not make it disappear. Integration of the Bedouins in the Israeli society is a key factor in guaranteeing a promising future, quality of life and prosperity for the Negev inhabitants. This includes vocational horizons and employment opportunities. The new center will open a window of hope for the Bedouin population, both men and women. Indeed, it is an initiative of national significance."